The STARS Youth Orchestra, directed by Dottie Case, with guest soloist, Sarah Cole, presents its spring concert on Saturday, May 13, at 7:30 p.m. at St. James Episcopal Church, 533 Bingham St., Sault Ste. Marie, Michigan. A free will offering will be accepted to benefit the Soo Theatre Project. Get ready for some fun this summer at the Soo Theatre! Registration for STARS summer classes begins Monday May 1. Register in person weekdays 10-5. A class schedule is available online. Once again, those talented middle school students at J.K.L. Bahweting have combined their acting talents to produce a fund-raiser for the Soo Theatre Project! 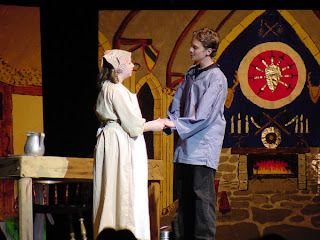 On Tuesday, May 9th at 7:00 pm and on Wednesday, May 10th at 7:00 pm at the Kewadin DreamMakers Theater, the JKL Bahweting Middle School Students will present The Princess Bride. Proceeds go to the Soo Theatre Project. Tickets will be available at the door: $5 for adults, $3 for students. Kids 5 and under will be admitted free. For more information, contact Mr. Donaldson at Robert@jklschool.org. Registration for Summer 2006 classes at STARS begins May 1. Stop in and pick up a brochure. A class schedule is also available online. You may register in person weekdays 10-5. Our Spring 2006 Newsletter is now available online. A PDF version is also available. 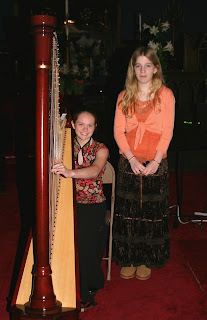 STARS presents a student recital on April 23 at 2:00 p.m. at St. James Episcopal Church, 533 Bingham St., Sault Ste. Marie, Michigan. Students of STARS instructors Karen Hughes, Nancy Powers, and Meg Stevens will perform. A free will offering will be accepted to benefit the Soo Theatre Project and STARS.